National flag carrier Vietnam Airlines and low-cost airline Jetstar Pacific planned to provide nearly one million seats (equivalent to 4,700 flights) for the domestic and international flights to meet travelling demand of their passengers on the forthcoming Reunification Day (on April 30) and May Day (on May 1). 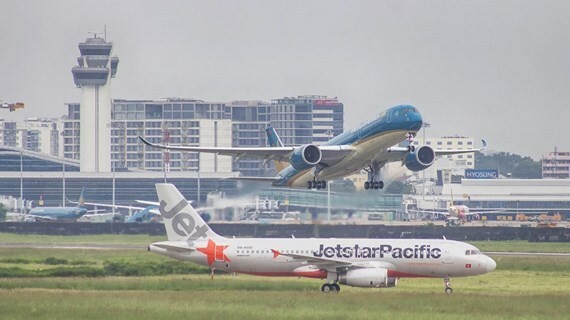 Vietnam Airlines and Jetstar Pacific will provide nearly one million seats (equivalent to 4,700 flights) for the domestic and international flights. Particularly, Vietnam Airlines will provide nearly 800,000 seats, up more than 78,000 seats compared to the same period, including more than 53,000 seats for the domestic flights connecting Hanoi, Ho Chi Minh City and Da Nang, Phu Quoc, Nha Trang. 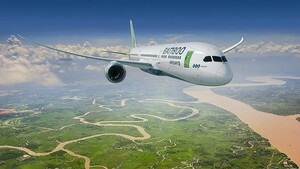 Additionally, more than 25,000 seats for the international flights linking Vietnam and Japan, South Korea, Thailand and Cambodia will be added on the upcoming holidays. Whereas, Jetstar Pacific will provide nearly 200,000 seats for domestic and international flights. The airlines recommend passengers to plan their vacation soon, use online check-in services or self-check applications at airport kiosks to save time before departure.